Ronda Rousey isn’t the only fighter at UFC 168 starring in movies. 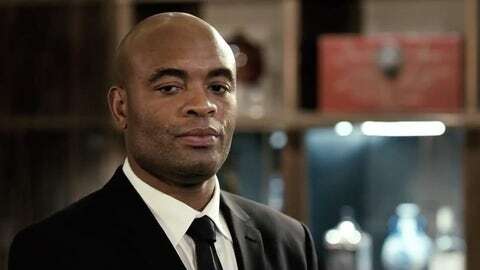 Anderson Silva plays a significant role in Brazilian flick Ate Que a Sorte Nos Separe 2, which opens Dec. 27, one day before Silva meets Chris Weidman for the UFC middleweight title in Las Vegas. We have no idea what’s going on in the movie — we don’t speak Portuguese. But we do know most of it is set in Las Vegas and Silva plays a roulette dealer and MMA fighter. There’s a movie first. The other stars in the movie are Brazilian actors except for one notable one: Jerry Lewis. Yeah, ees normal. Silva, 38, has expressed interest in acting before. It’s one of the reasons he’s working so hard to improve his English. He’s hoping to make it one day in Hollywood. Post by Até Que a Sorte nos Separe – O Filme. We could see it. He’s already a better actor than some of the big film stars right now. Every time he speaks to the media he’s playing a role.